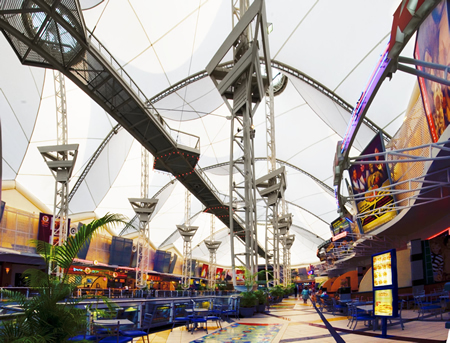 Enter a world of shopping and entertainment. The centre is situated in Menlyn, which is a suburb in the east of Pretoria. The centre is conveniently located within a short distance off the N1 Highway (approx 200 metres) and approx 5km from the N4. Menlyn was built in the year 1979 and opened in November later that year. The centre underwent a major refurbishment, which cost approximately R800 million that commenced in 1998 and was completed in October 2000. 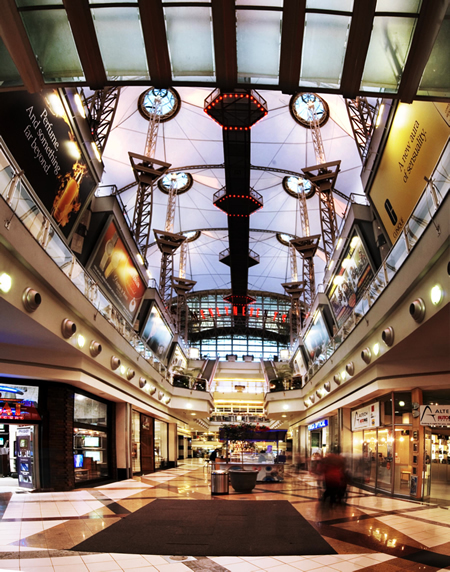 This redevelopment increased the GLA from 60 000m² to 118 253 m², transforming Menlyn into a Super Regional Shopping Centre and growing the shop base from 160 to 300 tenants. Menlyn has Hyperama, Woolworths, Truworths, Stuttafords, Foschini, Game and Nu Metro as anchor tenants. In addition to this, the centre also has 7 USP's (unique selling points) namely, Imax Theatre, Outdoor Events Arena, Play Park and the World's First Rooftop Drive-In, Hot Air Balloon, 3G Nu Metro Cinema, Go-Karts, Dinner in the Sky.